Leads the charity working with the Board and Management team to secure financial stability to develop and manage existing and new programmes to increase club and member benefits and opportunities. Strengthening relationships with stakeholders and other lifesaving organisations with focus on the core of the Charities aims to save lives and prevention of drowning. Fran is responsible for supporting the board and ensuring that core member services functions are delivered and that the team is working cohesively to ensure member needs are met. Mark’s role is to support our clubs and members through their future development, whether patrolling, sport and competition, or any other Surf Life Saving pathway, Mark will discuss the needs and set agreed action plans that will help to establish future strategies. Through delivering club coach development awards, patrol training, TA support and club audits, Mark aims to visit and support as many clubs as possible each year so that they can continue to offer outstanding lifesaving activities. 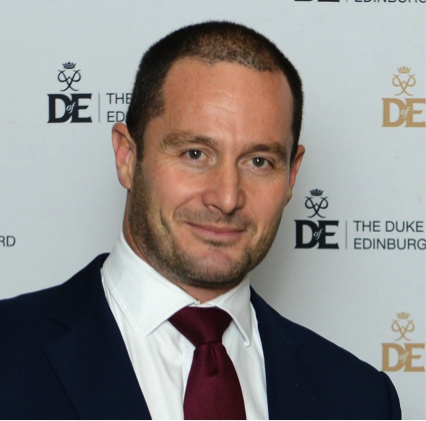 Nigel is responsible for all aspects of our event planning, management and delivery including selection, training and support of officials and volunteers who make the events possible and memorable. Adey is the main man for all safety related issues including advice and support for our clubs. Leads on Safety at SLSGB events and now the Head Tutor for the new Event Water Safety Management award. Provides guidance for best practice, risk management, risk assessment and incident support. Jan is responsible for our Safeguarding policies, processes and procedures, co-ordinating safeguarding groups and administrating the safeguarding function. Jan is the point of contact for all club and member safeguarding queries and concerns. Lottie provides secretarial & administrative support to the General Manager, Committees and Working Parties. Jorja provides support to clubs and members for all queries regarding the MIS administration process, membership, club affiliation, payments, education and events. Is a key contributor to the smooth running of the office and improvements to the Member Information system. Pete is inspired by, being in, on or involved with the ocean and his every effort will be focused on making the ocean a better place for our children’s children. Pete has been involved in Surf Life Saving since he was 14 years old as a youth in Bantham SLSC and is still actively involved in patrolling, event water safety, training and competing for the club. Bantham provide full patrols (as RNLI volunteers) every Sunday in the summer and hold many national and European IRB championships titles. Pete’s day job is as a consultant for BigBlueStuff a performance consultancy focused on enabling better business. He is proud to have led some of the world’s biggest offshore wind renewable energy projects along with pioneering work to deliver wave and tidal projects in UK waters. Recently Pete’s work has focused on building innovative energy from waste projects that take household waste and convert it into sustainable electricity, heat or transport fuel. Ensuring waste is too valuable to be thrown away, especially into our oceans! Pete is the proud father to Emily who has just finished her first season as a lifeguard on South Devon’s beaches and Rosie who takes her lifeguard qualification later this year. Born in Brixham and now living in Kingsbridge, South Devon. Geoff moved to Kingsbridge initially to be closer to lifesaving sport & recreation at Bantham Surf Life Saving Club, rather than work in the main commercial centres of Devon. Geoff has been a patrolling member throughout his time in the Club, Treasurer for 10 years, and Chairman for a couple of years and also ran the Nippers & Juniors section of the Club for 3 years. As someone born in the area, sports have in the most part been water based. He has always had an interest in water safety, and is qualified as an RLSS pool life guard and an ASA Swimming Teacher whilst still at school. He has had two professional lives to date. The first as an officer in the Royal Engineers for 10 years, and secondly as a Chartered Accountant. Geoff is currently working with the NHS, after taking a three year sabbatical to help with aid work in Sudan and Pakistan. Although a Cornishman by birth, since 1996 John has been living in Somerset with his wife Pam, on the beautiful and peaceful Somerset Levels. John has been involved in Surf Life Saving for almost the last 40 years, and his only regret is that he waited until he was 18 before he joined Portreath SLSC. John seems to have been in the right place at the right time throughout his lifesaving career, first in becoming Cornwall Region Chairman in 1986, then SLSGB Vice-Chairman in 1988, and Chairman of SLSGB from 1990 to 1995. The good fortune continued in 1994 when he was elected to the International Lifesaving Federation Board of Directors and has been honoured to represent SLSGB in Europe and Europe at the World Level for the last 21 years. Since 1998 to date John has been proud to serve SLSGB continuously as a member of the Board of Trustees, including 9 years until 2007 as the Director of Sport. Like many others, he has enjoyed lifesaving competition even if he never won anything individually, but he really found his calling was to be an official. John was fortunate again to be appointed as the Chief Referee for the Rescue 94 World Championships at Fistral Beach Newquay, and then served as the Chief Referee for the next 4 Masters World Championships from 1996 to 2002. John continued to officiate at every World Championships and these days you will most likely find him with a microphone in his hand, enjoying a ringside seat at the best sport in the world! 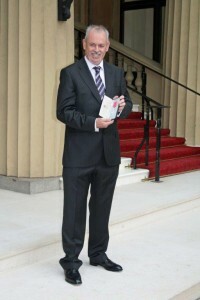 In 2009 John was awarded an MBE for services to lifesaving, and also appointed as an ILS Grand Knight in the Order of Lifesaving, and is so proud of being a Life Member of such a worthwhile organisation whose best claim, aside from saving countless thousands of lives over the last 60 years, is that it turns out the best citizens. By profession John has been a Civil Servant for the last 37 years, with half of that time spent working in fraud investigation for the Department for Work and Pensions. He is currently managing a national unit of Financial Investigators whose task is to identify and confiscate the assets of benefit criminals to make sure that “crime does not pay”! 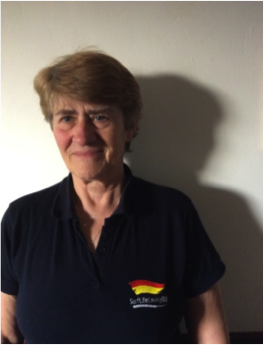 Diane has been a member of SLSGB for 30 years, the last 20 years as secretary of Surf Lifesaving Cornwall. She was asked to help out in the run up to Rescue 94 and has hardly missed an event since. Diane has always assisted in an administrative role but family Emma, Rob, David and Katy have taken on many roles from competitor to professional lifeguard as well as club and national positions and now her two grandsons also are involved with the Nippers. Since retiring from her daytime job is happy to be working with the Board of Trustees. Married to Carole, Mike has two “grown up” children – Sam and Jenny. He in Gosport near the sea (Stokes Bay) and across the harbour from Portsmouth where work is at the University. 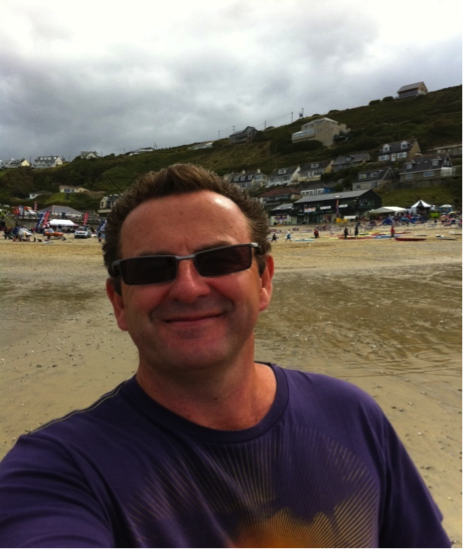 Having been on the medical advisory committee of Surf Life Saving for some years, Mike became a Trustee in 2012 and was originally attracted to getting involved having watched a Nippers’ night on Perranporth beach whilst on holiday. 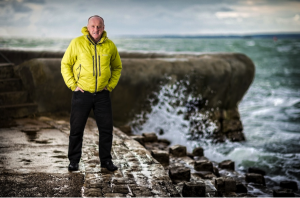 Mike spent his working life researching in the area of extreme environmental physiology and medicine, particularly survival in the sea, work that has helped reduce the shockingly large number of immersion deaths that occur each year. This group also produced the physical fitness standards for beach lifeguards and lifeboat crew. On the sporting side, Mike started as a swimmer aged 5 years old (hence the interest in water), played rugby for 32 years and now does triathlons including the Nice Ironman every five years because it is cheaper than BUPA! Mike considers that it is an honour and a privilege to help SLSGB in the work they do to get children and adults active, as well as making them capable of saving lives at sea. Married to Karen Coles, Paul has 4 children – Joshua, Emma, Rachel and Holly and lives in North Devon just outside of Bideford. All 4 children are excellent swimmers and the 3 girls have all competed at the highest levels in our sport of Surf Life Saving. It is through their taking part in the sport and skill of surf life-saving that he became addicted. Paul is currently a Committee member and Trustee of Bideford Bay SLS, Chair the Devon SLS Sports Sub Committee as well as a Level One coach and event official. Paul’s day job is being BT’s Regional Manager for the South-West which is working at a strategic level with business, consumer and public sector bodies across the whole spectrum of BT’s activities. He is mentor at Park Community School in North Devon and sits on the Devon and Cornwall Business Council Advisory Group. Glen’s focus within SLSGB is lifesaving. He joined at 16 years old and remains qualified as a surf lifeguard, IRB crew & driver, water event safety manager and a swift water rescue technician. Glen is an active member of his local club; he has been a member of the committee for over 10 years and is now in his third consecutive year as chairman. He is heavily involved in coaching nippers and future lifeguards and is part of the Devon flood rescue unit. Glen previously served as a volunteer Coastguard rescue officer for 20 years with responsibility for a team undertaking land and sea searches as well as mud and cliff rescues along the South Devon coast. For work, Glen is a serving police officer and trained to manage specialist and major operations. He is keen to develop the role surf lifesaving has supporting emergency services and local communities responding to incidents. He is married to Kathy, with two sons Archie and Sammy all of whom are active surf lifesavers.